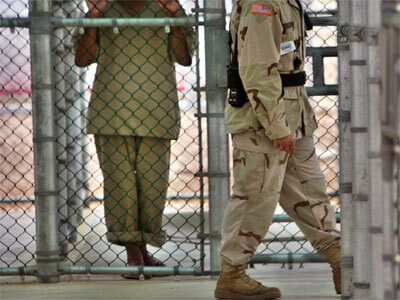 Lawmakers in Washington have stripped an amendment from next year’s National Defense Authorization Act that could have kept the government from indefinitely detaining US citizens without charge or trial. Senate Armed Services Committee Chairman Carl Levin (D-Michigan) told reporters on Tuesday that an amendment to the 2013 defense spending bill approved only two weeks earlier had been removed. That amendment, authored by Sen. Dianne Feinstein (D-California), was pitched as a solution to a clause in the current NDAA that allows for the indefinite detention of US citizens without due process or habeas corpus. 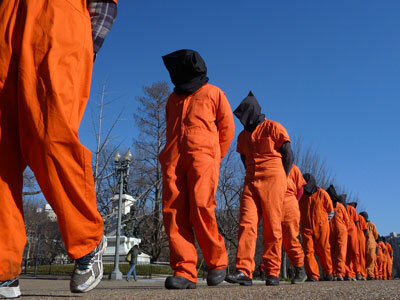 Under the 2012 NDAA, US President Barack Obama is affirmed the power to put any American citizen behind bars if he or she is suspected of assisting in any way with forces engaged in hostilities against the United States or its allies. That provision, Sec. 1021, says any person who commits a “belligerent act” against the country can be imprisoned indefinitely “without trial” until the vaguely-worded period of hostilities has come to an end. Pres. Obama signed the 2012 NDAA into law on December 31 of last year, but included a statement at the time that condemned the powers under Sec. 1021 that he awarded himself. “[M]y administration will not authorize the indefinite military detention without trial of American citizens,” the president wrote on New Year’s Eve. 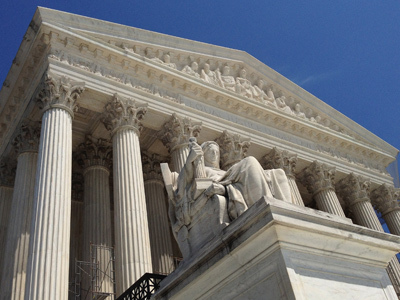 In the months since signing the current NDAA into law, though, the White House has relentlessly defended itself in federal court to ensure that it maintains that ability, despite a federal judge having ruled the clause unconstitutional. The Feinstein Amendment, co-sponsored by Senators Mike Lee (R-Utah) and Rand Paul (R-Kentucky), was described as its authors as being a once-and-for-all fix that would ensure the White House isn’t awarded the power to indefinite detain Americans in the new year. On Tuesday, though, Sen. Levin confirmed that members of a House-Senate conference agreed to remove that clause from the draft. "The language of the Senate bill was dropped," POLITICO quotes Sen. Levin as saying late Tuesday. Now with the removal of Sen. Feinstein’s amendment, the latest edition of the NDAA does not include any safeguards that prevent the president from ordering the extrajudicial imprisonment of any person suspected of ties to terrorism. Because Sec. 1021 is worded as ambiguously as it is, journalists and human rights activists’ have asked the Justice Department to ban the White House from enforcing the powers provided under that clause. District Judge Katherine Forrest awarded the plaintiffs in a federal suit against the Obama administration an injunction earlier this year that keeps the government from using that ability, but a lone appeals judge placed a stay on that ban as requested by the White House. Last year, Sen. Levin admitted before Congress that under the original wording of the 2012 NDAA, American citizens were excluded from the provision that allowed for detention. Once Obama’s officials saw the text though, “the administration asked us to remove the language which says that US citizens and lawful residents would not be subject to this section,” Levin said. Now almost a year to the day later, Sen. Levin has again become the bearer of bad news to millions of Americans who may be subject to indefinite detention for another fiscal year. 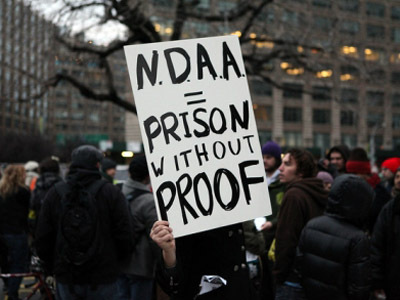 According to attorney Carl Levin, a co-counsel for the plaintiffs in the federal case against the president, “if any journalist or activist is seen as reporting or offering opinions about groups that could somehow be linked not just to al-Qaeda but to any opponent of the United States or even opponents of our allies” then they can be detained under the current NDAA. According to the Obama administration and the appeals judge that granted a stay on Judge Forrest’s injunction, the AUMF does do exactly that. 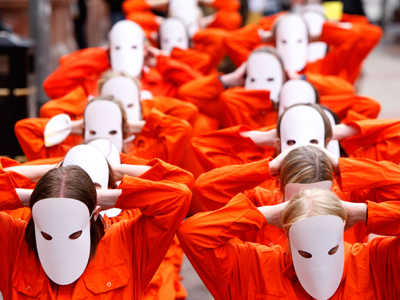 Under the 2012 NDAA, the president is reaffirmed his power to indefinitely detain Americans as granted in the post-9/11 legislation approved nearly a decade earlier. Raha Wala, a lawyer with Human Rights First, tells HuffPo that the new wording added to the proposed NDAA “doesn’t do anything of substance.” According to Wala, who specializes in national security law, "It doesn't ban indefinite detention within the United States or change anything about existing law." 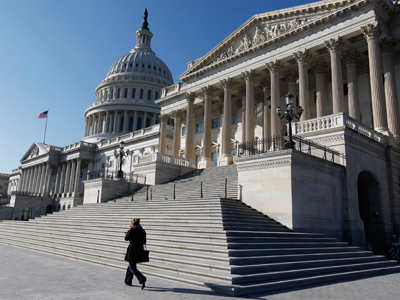 Congress will have to fully accept the latest NDAA before it is sent to the White House for President Obama to sign. 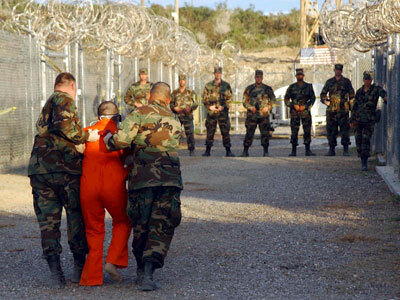 His administration has suggested they would recommend a veto over a separate clause related to the Guantanamo Bay military detention center, although a similar threat was announced last year only for the president to sign the NDAA into law regardless. 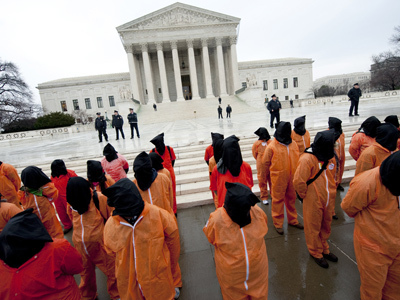 NDAA 2013: Will Congress kill indefinite detention without trial for Americans?